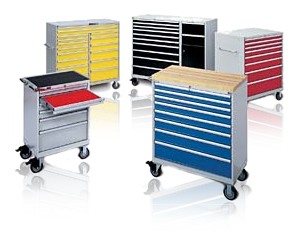 At Willrich Precision, you will come across the finest in workplace and storage solutions. We carry a comprehensive range of gage cabinets that epitomizes durability and high quality throughout the global market. From tool crib cabinets, automotive garage gage cabinets to basic gage storage cabinets (perfect for small parts), our inventory is stocked with many different multi-purpose gage cabinets, which are used to meet the required demand in assorted industries, like military, aerospace, manufacturing, laboratory, and agriculture. At Willrich Precision Instrument, you can avail our unmatched level of service to our customers and also benefit from our unequalled knowledge of products. We will help you in finding the perfect solution for your requirement of gage cabinets when you online. If you are in the market for gage cabinets, then we have the perfect product for you. Our company has vast experience working with our customers in the metrology, inspection, and gaging industry. That is the reason we have the requisite knowledge of what exactly is required by our customers when the demand is for gage cabinets. If you are in need of any help in purchasing any product, just give us a call at 866-945-5742 or you may even email us at sales@willrich.com today.